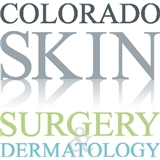 Colorado Skin Surgery and Dermatology (Centennial) - Book Appointment Online! At Colorado Skin Surgery and Dermatology we specialize in skin cancer treatment and cosmetic dermatology. Our complete approach to skin cancer care includes prevention, detection, treatment and restoration. Our Board Certified Dermatologists and fellowship trained Mohs skin cancer surgeon are committed to patients and strive to provide the highest quality care in an efficient, pleasant environment. Cosmetic procedures are performed by our Board Certified Dermatologists and fellowship trained dermatologic surgeon. We would be honored to discuss your cosmetic needs and options. Dr Francis was very professional and has a great personality. She thoroughly explained details of the procedure and future actions, if needed. I have recommended her to 2 of my friends already!